Roma’s move for Chelsea and Manchester United linked midfielder Nicolo Barella next summer could hinge on Champions League qualification. Despite incessant speculation over the 21-year-old’s future, the midfielder decided against leaving Cagliari in the middle of the season in the winter window. Chelsea showed an interest in him and Napoli tabled bids to snare him away from Cagliari, but the midfielder wanted to stay until the end of the season. However, his future is expected to be a hot topic next summer when Inter are expected to join the race and even Manchester United are reportedly scouting him with intent. Roma are also very much interested in the player, but according to Italian radio station Radio Radio, a possible move for him could depend on the club qualifying for next season’s Champions League. The Serie A giants are planning for next summer but they are yet to finalise targets as a lot will depend on the availability of Champions League cash. Barella is a player the club have been keeping tabs on and are almost certain to table a bid for if they are in Europe’s elite club competition next season. 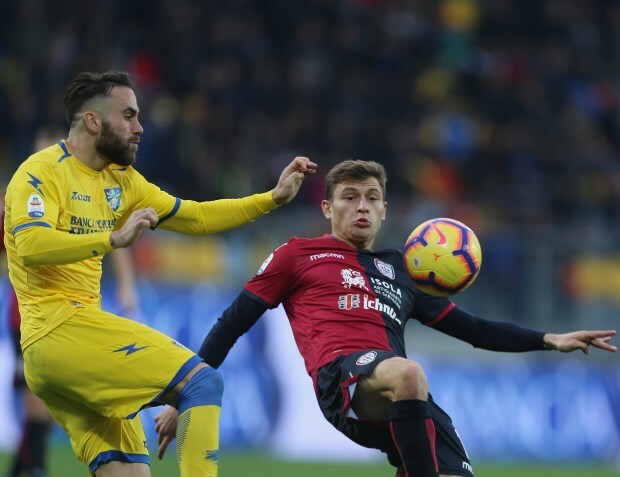 The guarantee of Champions League football and the financial windfall associated with it could allow the Serie A giants to compete for Barella’s signature with several other bigwigs of European football.